The team at Waters Productions have captured Caleche very well and this has been a new insight for Caleche into the marketing potential in real life representation. Thankyou Heather and everyone at Waters Productions. I quickly picked up that Heather is a motivated individual with a strong vision. More importantly she has a high regard for people which is clearly evident. Heather is a hard working, talented individual with the ability to get things happening on time in a friendly, responsible manner. I would willingly work with her making films any time. I found Heather thorough, highly professional and patient. I would be happy to recommend her. 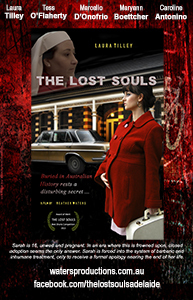 Heather is a passionate and hard working woman who I had the pleasure to work with on her film The Lost Souls.